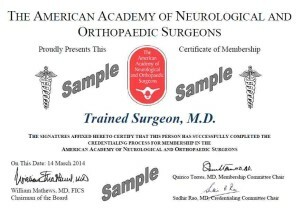 Physicians who practice neurosurgery, orthopaedic surgery, spinal surgery or neurology are invited to join the American Academy of Neurological and Orthopaedic Surgeons. In addition, physicians who have an interest in these areas of medicine or are involved in related fields such as pain management or research may also join the Academy as active members. Payment of appropriate fees and dues is required to maintain active membership. 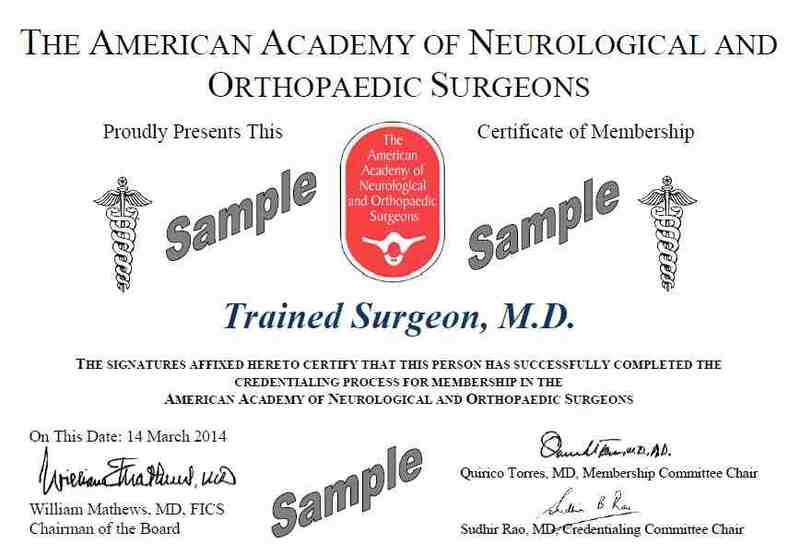 Only active members of the Academy can obtain certification from one of the AFMA recognized boards administered by the AANOS. Click the following link to download an application for active membership (PDF file). Or to complete an online membership application, CLICK HERE now.